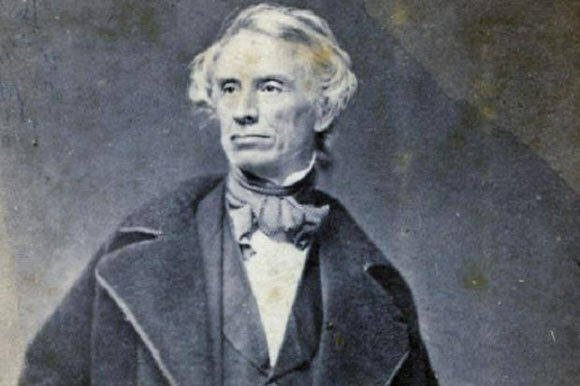 Samuel Morse was an American painter and inventor born in 1791, who is known for developing the electric telegraph and Morse Code – a system of relaying messages over long distances using a series of dashes and dots. These messages would have to be decoded by a skilled interpreter at the other end of the line. He was formally christened as Samuel Finley Breese Morse, and had a strict Catholic upbringing as his father was a clergyman. Morse first studied at the Phillips Academy in Andover and later at Yale. His defining interests during his student life were painting and the study of electricity. During his college days, Morse made money by making miniature paintings for his fellow students. He graduated from Yale in 1810 and on his father’s insistence, became a book publisher’s apprentice. However, he really wished to pursue art and in 1811 he went to England to study painting. In London, he studied at the Royal Academy of Arts and was profoundly influenced by Renaissance art as well as by the works of renowned artists Michelangelo and Raphael. It was during his time there that he created some of his most acclaimed work such as the statue and painting of “The Dying Hercules”, as well as the painting “Judgment of Jupiter”. Samuel Morse returned to America in 1815 and painted many powerful and historical pieces for the next ten years including a portrait of President James Monroe and a portrait of a French aristocrat Marquis de Lafayette for a thousand dollars. Lafayette and Morse also became good friends during this time. Morse had several other friends amongst the wealthy, intellectual and religious classes, as he was sociable and intelligent and got along well in most social circles. The idea of enhancing the telegraph came to Morse on a sea voyage where he met a scientist named Charles Thomas Jackson who had studied electromagnetism extensively. Jackson described how instantaneous long distance communication could be done via copper cables and thus Morse began to develop a plan to create a single wire telegraph system. Several other scientists were working on similar ideas around the same time, who, due to their strong financial backing were able to develop the prototype faster than Morse (who was still struggling with his design and finances). However, with some help from New York University Professor Leonard Gale, he was able to develop his first model that would transmit information over a 10 mile distance and demonstrated this to the public in January 1838. After much struggle, Morse was finally able to secure a contract from the government and established the first telegraph system between the Congress buildings in Washington and Baltimore for $30,000. He relayed his message using code which was later developed with the help of Alfred Vail and became known as “Morse Code”. Morse wasn’t able to immediately patent his telegraph, and it took ten years of long and complex legal negotiations before he could call himself “the inventor of the telegraph”. Morse was honored all over the world such as being inducted into Order of Glory from Sultan Ahmad ibn Mustafa of Turkey, and several medals and awards from Emperor of Austria, Emperor of France, King of Denmark and Queen of Spain. Many statues and portraits were also built in his honor. Morse died in April 1872 in New York City aged eighty one years. He was not a very wealthy man but he was generous of spirit and contributed keenly to charities and scholarships, particularly at Yale and Vassar. His net worth at the time of his death was estimated to be approximately $500,000 which would roughly be $9 million today.